If you cannot view Japanese characters properly on word processing software or email software even after installing Japanese fonts, the software does not support Unicode (Multilingual character code). In such case, you can view and type in Japanese on most non-Japanese software by setting "non-Unicode Programs". If you have some troubles to view Japanese characters, please try this optipn. In other case, you do not have to take this option. 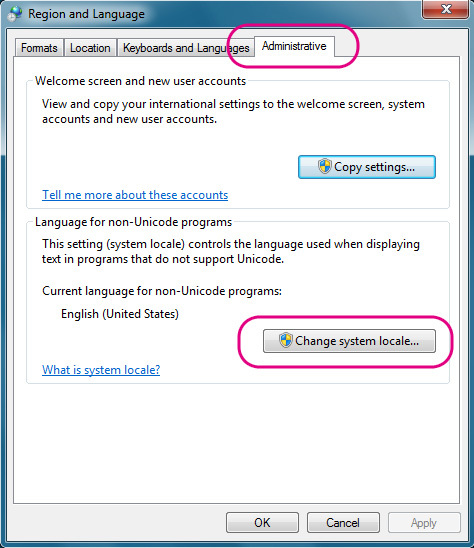 When you manually install Japanese fonts, MS-IME (Japanese input software) will also be automatically installed by this setting "non-Unicode Programs". Meanwhile, this setting will not install MS-IME when you automatically install Japanese fonts. You need to manually install MS-IME to enable Japanese typing. 1. 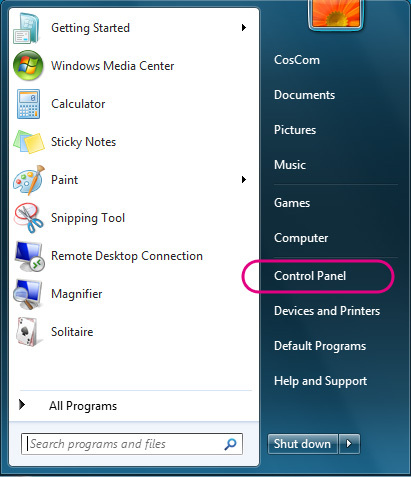 Open Control Panel from Start menu. 2. Open "Clock, Language, and Region". 3. 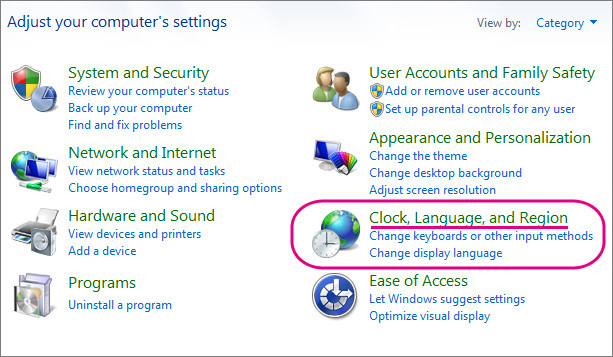 Open "Change keyboards or other input methods" of "Regional and Language". 4. 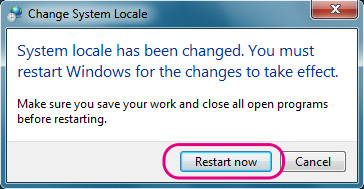 Open "Change system locale..." of "Administrative" tab. 6. Select "Japanese (Japan)" from the pulldown menu. Your default language will not change by selecting Japanese here.